When you think Christmas shopping, do you think big-chain retail stores … and lines, full parking lots and general fatigue? How about this picture instead: You, cozy at home with your laptop and a mug of hot cocoa, enjoying Christmas music and browsing at your leisure through great faith-filled gifts for everyone on your list. This is the scene you can enjoy when you shop Catholic gift stores. 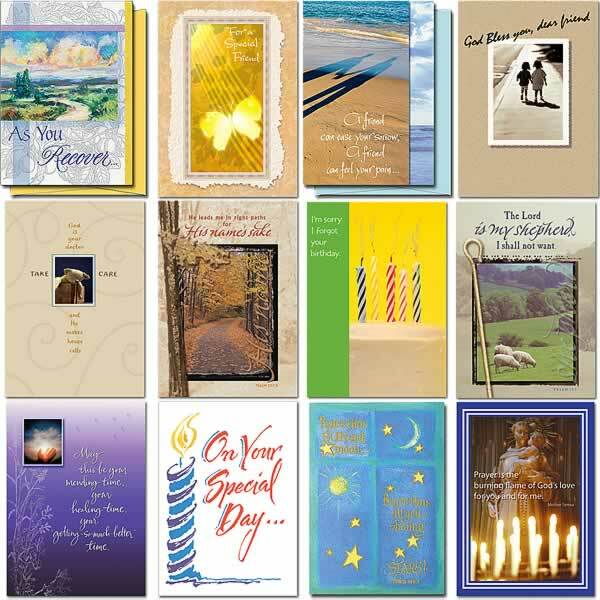 Shopping online for religious greeting cards and inspirational gifts is better now than ever, with new items like fashionable wall plaques, candles, scented soaps and jewelry that helps friends and family members share their faith every day. Another wonderful part of shopping online if that retailers have safe and secure sites that can even hold onto your favorite items in a wish list or shopping list. So what are some of the top items to click, buy, and relax again with this year? 1. Focus more this year on the power of the written word, expressed by you in a beautiful religious greeting card they’ll keep to display year after year. Don’t breeze through a bustling retail store at the last minute for cards for parents, spouses, teachers or in-laws – try taking your time and enjoy the awe-inspiring collections you can find online. The Printery House, for example, offers stunning artwork and messages created by monks and artists on-site at Conception Abbey, a Benedictine monastery in northwest Missouri. 2. Message blocks pack a lot of faith in a small space. Send a college student or faraway friend a message block, adorned with bright colors and affirming messages of faith that will complement any shelf, desk or corner. 3. Celtic-inspired items are trendy and fashionable all year, across all age groups. Pick up a Celtic cross necklace or two for a Sunday school teacher or family member. Keep an extra one on hand for a great gift. Teens wear them too! 4. For the guys, try a unique “Man of Faith” mug and coaster set or a scented shaving kit, part of the Monastery Scents line. The soaps are hand-crafted by the Benedictine Sisters of Perpetual Adoration, and come attractively packaged and ready to wrap. The boxed collection includes Oatmeal & Honey, Frankincense & Myrrh and Swiss Lavender. 5. Now, how to celebrate that extra time you gained by shopping Catholic gift stores at home? Pick out a bright and bold new Jim Shore ornament from The Printery House to light up your tree or anywhere in your home. You’ve earned it! 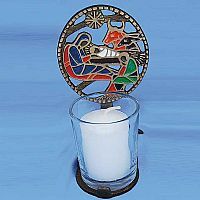 You’re only a few clicks away from some peaceful Christmas shopping when you browse Catholic gift stores like The Printery House online. For 60 years, The Printery House has created wonderful greeting cards in their on-site print shop, and they offer a full line of inspirational gifts, too. 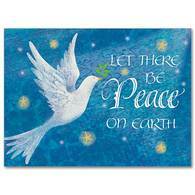 This entry was posted in Catholic Gift Stores and tagged Catholic gift stores, Christmas gifts, online Catholic gift stores, online religious stores, online shopping, The Printery House on December 13, 2013 by admin.